Get ready to catch the incredible Above and Beyond as they bring nothing but the energy to keep you dancing til you drop! 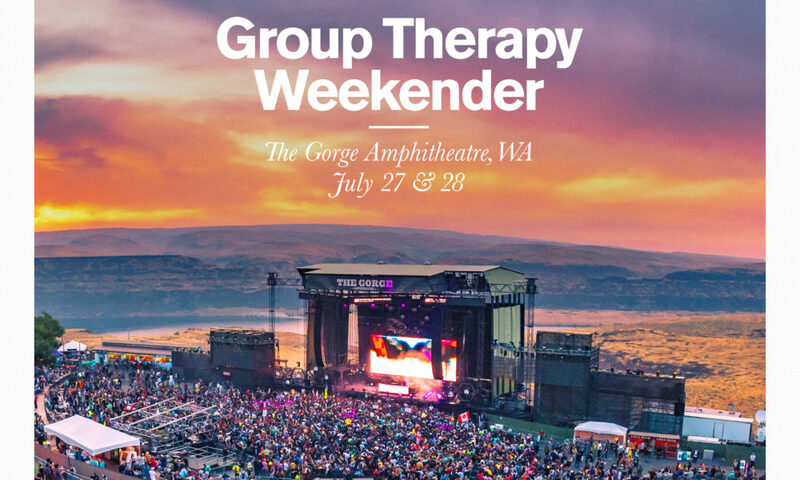 Above & Beyond comes to Gorge Amphitheatre on Saturday 27th July 2019 – for a special event! Passes are now available to book for the unmissable Group Therapy Weekender! Not to be missed! The progressive trance act, Above and Beyond sure know how to get a crowd moving… their members; Jono Grant, Tony McGuinness, and Paavo Siljamäki. Since their debut back in 2000, they have smashed the charts and rocketed their career into the mainstream from the underground through their dance music label, Anjunabeats… Known globally for their talented DJing abilities, they have been ranked in top 5 positions in the last 10 years! As one of the biggest groups of the genre – Above and Beyond have taken to the charts countless times to give their fan base something to truly gets their teeth stuck into – their catchy tracks craft a feel good soundscape and make a great performance when seeing live. "Oh boy. Above & Beyond have been a long-standing favorite dance production of mine for about six years running. I’ve been following them closely since right after the massive success of their 2011 album Group Therapy but before they started the journey into mainstream western/American appeal. As a group that has seemingly changed directions several times and faced the argument that they’ve been alienating their original audience over the past four years or so, the discussions around Above & Beyond as an electronic dance force and their direction shifts is a complex and weighted one."